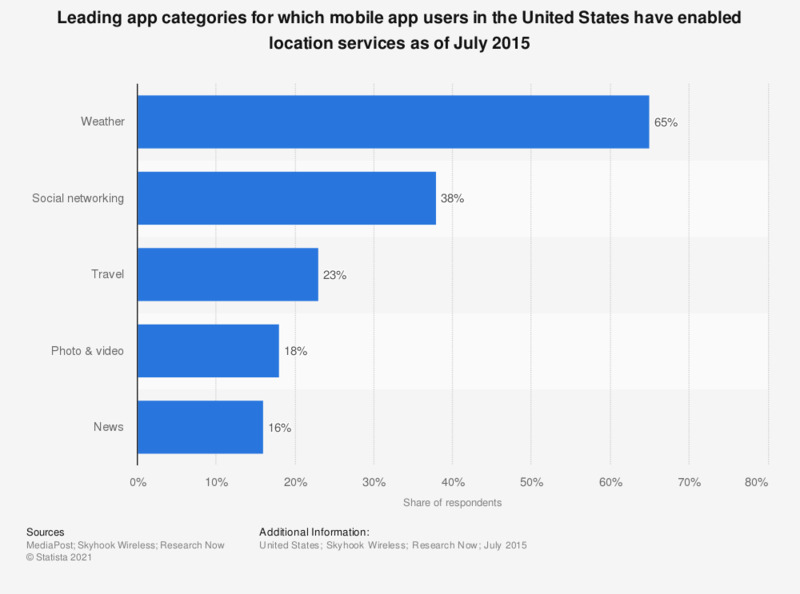 This statistic ranks the leading app categories for which mobile app users in the United States have enabled location services as of July 2015. During the survey period, 65 percent of respondents stated that they had turned on location services for weather apps. The source does not provide information regarding the number of survey respondents.